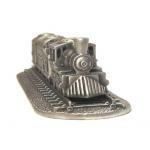 A set of four finely detailed pewter thimbles designed to evoke memories of a bygone age, a time of adventure and discovery, an era of legendary heroes such as Casey Jones, an age of steam and great inventions. 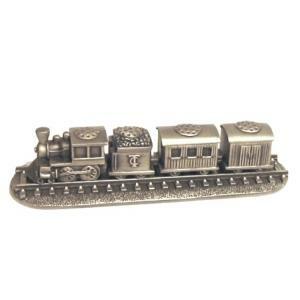 The train set comprises of: - The Engine, The Tender, The Carriage and The Box Car, and has a pewter base in the form of a length of detailed train track. 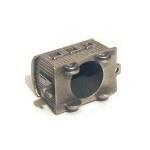 Each thimble can be linked together with a small coupling pin and can be lifted on and off the track. This set of hand polished antiqued pewter thimbles would make a great gift for any thimble collector, or a unique addition to your thimble collection. 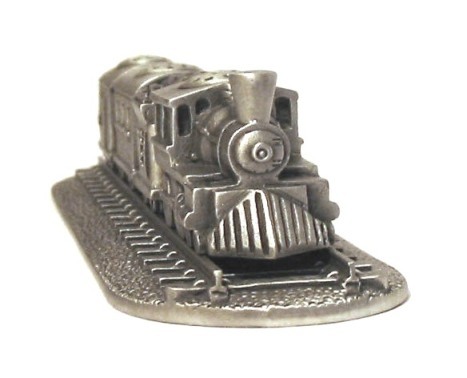 Average thimble height approx 25mm (1 inch), track length 145mm (5 ¾ inches). The set comes carefully packaged.